When I was young, I enjoyed reading; in fact I enjoyed it a lot. Some of my favourite books were the Garden Gang books published by Ladybird, a series of tales about anthropomorphised vegetables and fruit, written by Jayne Fisher. Jayne Fisher is the youngest ever Ladybird author. 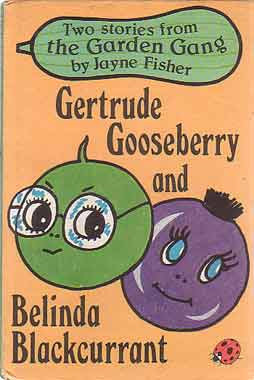 She was only nine years old when she first started writing these charming stories about fruit and vegetable characters. Writing and drawing aren't Jayne's only interests. She has studied for the Ribbon awards of the Royal School of Church Music, and plays the classical guitar and the recorder. Jayne sews, bakes, reads avidly, plays chess and keeps two gerbils and breeds stick insects. But it is perhaps her own garden at home which gave her the ideas for these stories. Jayne's bold, colourful felt-tipped pen illustrations are bound to appeal to young children and we can all learn a few lessons from the characters in the Garden Gang. I remember the stories only vaguely now, age having faded my memory, but all were with strong morals and fruit and vegetable protagonists that gave insight into one's own character. A list of the characters can be found by clicking here. Over the years, I've written stories, even had a couple of articles and stories published, and am working on novels, as well as using blogging as another method of output for my writing, but it all really goes back to the day I read Jayne Fisher's CV on the back of the Ladybird books, and was inspired: I, too, can do that. "Where is she now?" some people are asking. I do wonder, as she hasn't written under her own name since the Garden Gang series ended in the 1980s. 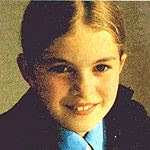 She was first published at the age of nine in 1979, so that would make her about 38 or 39 years old by now. Jayne Fisher, come back to writing, maybe sit down and write a few more Garden Gang books one day soon? I certainly may not write in the same genre as her, but she inspired me. Thank you, Jayne Fisher, for an entertaining series of books when I was a child, and for getting me started writing. Originally posted on my other blog here. Images on this blogpost are believed to be in the public domain and are used so; if I am in error on this, contact me and I will either credit them or remove them accordingly.